ANALYSIS Despite serious setbacks, an economic crisis and high unemployment Tunisia continues on the road towards democracy. Why is Tunisia making progress where other Arab countries have failed? 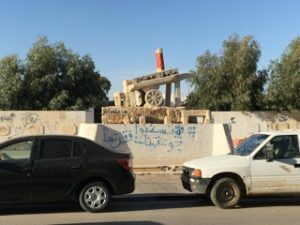 Johan Schaar, chair of ALNAP, writes about a new book that finds the answer in Tunisia’s unique history of a flexible and accommodating Islam and long tradition of reformism. A suicide attack, a murdered journalist’s testament, a new law against racism; three events in October that tell about Tunisia’s struggle for democracy. Early in the afternoon on 29 October 30-year old Mouna Kebla blows herself up at a police barrier on Avenue Habib Bourguiba in the centre of Tunis, among strollers, shoppers and outdoor café visitors. Several police are injured but the only person killed is the suicide bomber. She comes from a poor family, has a master’s degree in business English but is jobless like so many other young and educated Tunisians. She is not known by the security services and seems to have acted on her own, perhaps inspired by extreme religious forces during many lonely hours by her computer. On 9 October a new law is passed in the Tunisian parliament. As the first country in the Arab world Tunisia adopted a law criminalizing all forms of racial discrimination. It is particularly aimed at protecting the rights of the 10-15 % of Tunisians who identify themselves as black, and the 60 000 migrants from Sub-Saharan Africa. The new law was initiated in response to a number of high profile attacks on blacks. Surveys shows that blacks have lower education, higher unemployment and feel less respected than other Tunisians. Even if the groundbreaking constitution from 2014 does not explicitly outlaw racial discrimination, the new law derives from several of its portal articles on individual rights and freedoms and expands on principles that are fundamental to the new Tunisia. On 17 October Washington Post publishes what would become the Saudi journalist Jamal Khashoggi’s final column, 15 days after being murdered in his country’s consulate general in Istanbul. The text, which would become his journalistic testament, laments the lack of freedom of expression in the Arab world. He writes: “I was recently online looking at the 2018 “Freedom in the World” report published by Freedom House and came to a grave realization. There is only one country in the Arab world that has been classified as “free.” That nation is Tunisia”. He also finds that the Tunisian press primarily focuses on domestic issues, not those that face the greater Arab world. Tunisian media hesitate to offer a platform to journalists from Saudi Arabia, Egypt or Yemen. That is why the Washington Post gave space to Khashoggi and translated his articles into Arabic. Together, the three events tell of a country in economic crisis, where youth are deeply frustrated that the Jasmin revolution has not delivered what they expected in terms of jobs and prosperity, but where the institutions built since 2011 – the constitution, the parliament, the laws – provide firm ground on the road towards democracy, although with severe setbacks such as the bloody attacks on tourists in 2015 and with deep political divisions. And Tunisia is still the exception in the Arab world for Khashoggi and others fighting despotism, for human rights and democracy. The question is what other countries in the region can learn from the Tunisian experience, can it be transferred to other national contexts and geopolitical realities? The Jordanian researcher Safwan Masri from Columbia University in New York is a sceptic. In his new book Tunisia; An Arab Anomaly he answers the question already in its title: Tunisia is unique and deviates from the rest of the Arab world. Why is Tunisia still on the road to democracy when so many other countries in North Africa and the Middle East have failed? In Masri’s opinion the complex answer is to be found in Tunisia’s history, in its reformist tradition with deep roots in a tolerant and broad-minded Islam, and in the absence of the oil curse or a strong military. The heritage from Phoenicians, Berbs, Arabs, Byzantium, the Ottoman Empire and France has contributed to a unique identity among a homogenous population within clearly defined geographic boundaries. The Tunisian nation has a long timeline and an openness through trade to Africa in the south, the Arab world in the east, and the Mediterranean and Europe in the north; a crossroads in space and time. But most important according to Masri is that Muslim scholars in Kairouan turned to the Maliki school of jurisprudence during Islam’s first centuries, open to the influence of local society and culture, on the basis of the Quran and Muslim tradition. The Maliki school embodied the flexibility and adaptability that shaped Tunisian society. Even if Islam in principle allows polygamy if the husband treats his wives equally, special marriage contracts were in practice in Kairouan since the 8th century which gave the woman the right to divorce if her husband took another wife or a concubine, an example of how local customary law defined Muslim practice. The golden era of reformism occurred in the mid-1800s when Tunisia was an autonomous part of the Ottoman Empire. Slavery was abolished in 1846, first in the Arab world, 19 years before the US and more than a hundred years ahead of Saudi Arabia; legislation was passed giving the same civil and religious rights to Muslims and non-Muslims; the first constitution in a Muslim country was adopted in 1861 where the separation between political and religious authority was established. New secular schools with modern curricula accepted students on the basis of their academic merits rather than their origin. Civil society, particularly trade unions, evolved in the early 1900s. Reforms continued under Bourguiba after independence in 1956, not least as regards gender equality where Tunisia’s legislation is much more far-reaching than that of other Arab countries. During the decades after the mid-1970s Tunisia suffered under increasingly authoritarian rule, first under the ageing Bourguiba, then the dictatorial Ben Ali. When the 26-year old vegetable vendor Mohamed Bouazizi in desperation over police harassment and corruption set himself on fire in Sidi Bouzid on 17 December, 2010, the rebellion that would force Ben Ali out of the country broke out, igniting the “Arab Spring”. A nation characterized by religious tolerance, institutional diversity and a legacy of reforms was then able to manage the great tensions brought into the open by the revolution. Broad governments including religious and secular parties, a new constitution and a quartet of civil society organizations, led by the UGTT trade union, that engaged when political conflicts threatened to derail developments contributed to keeping Tunisia on the road to democracy. In addition Tunisia faces a climate scenario giving reason for great concern; in the Sidi Bouzid region agriculture already uses 50 % more of the groundwater than what is replenished. The unique conditions that brought the Tunisian revolution onto the road of a democratic society is clearly not present anywhere else in the region and cannot be replicated. Still, Tunisia is an inspiration for a young Arab generation; Tunisians show that democratic institutions, respect for human rights and tolerance towards the views of others are worth fighting for. 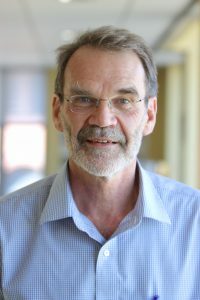 Johan Schaar is the chair of the Active Learning Network for Accountability and Performance in Humanitarian Action (ALNAP) and a member of the Expert group for Aid Studies (EBA). Would you like to author a text where you comment, discuss or criticise this article? Contact our subject-relevant editor.